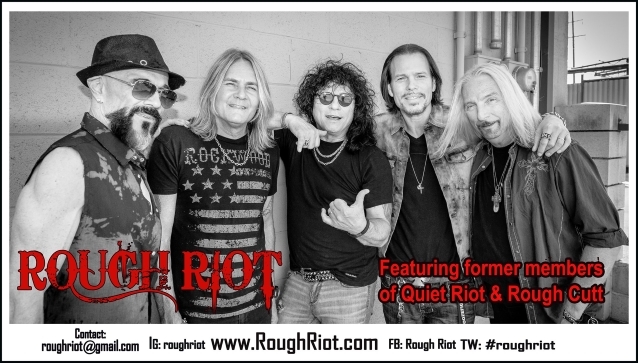 Former members of QUIET RIOT and ROUGH CUTT have joined forces in a "supergroup" called ROUGH RIOT. The new band consists of lead vocalist Paul Shortino (ROUGH CUTT, QUIET RIOT), guitarists Chris Hager (MICKEY RATT, ROUGH CUTT, STEPHEN PEARCY) and Carlos Cavazo (QUIET RIOT, RATT), bassist Sean McNabb (QUIET RIOT, LYNCH MOB, DOKKEN, ROUGH CUTT) and drummer Dave Alford (ROUGH CUTT). 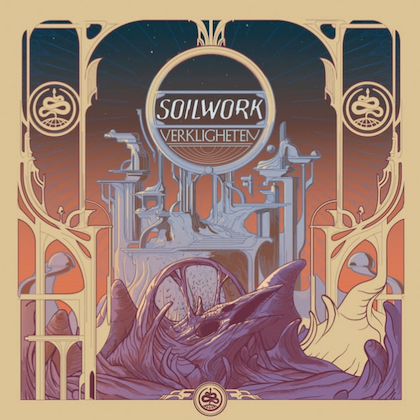 Hager revealed the new project's existence on his Facebook page, writing: "For too many reasons to list, a few of [us] old friends and bandmates have decided to unite and form something unique for you (and us)! Our aim is to bring you the very best of two worlds!! So if you’re a fan of the music of one or both the bands, QUIET RIOT or ROUGH CUTT, you win!" 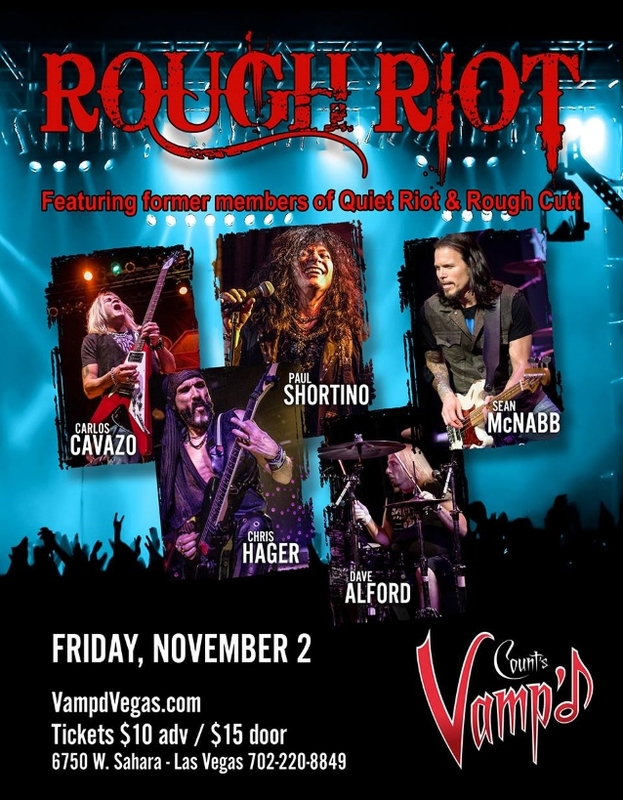 ROUGH RIOT is scheduled to perform on November 2 at Count's Vamp'd in Las Vegas, Nevada. In a 2017 interview with Roppingi Rocks, Shortino stated about his time with QUIET RIOT: "That was a great band. It's too bad we didn’t do another record. We spent a year working together on the 'QR' record. We all got really close working everyday together. We toured South America and Japan and then the band came to a halt. I only wish we would have toured more and would have done another record. 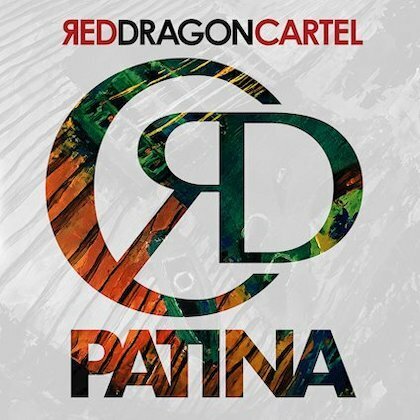 However, the band got derailed somewhere along the way and we parted ways." In a separate interview with Rock Net Webzine, Shortino talked about ROUGH CUTT's failure to attain the kind of commercial success achieved by some of the band's counterparts. "We came out about the same time as QUIET RIOT," he said. "In fact, at that time they were touring as DUBROW. QUIET RIOT hadn't gotten back together, actually, because Randy [Rhoads] had left the band and joined Ozzy [Osbourne], so at that time it was BLACK 'N BLUE, ROUGH CUTT, RATT, QUIET RIOT. We were all playing all the same clubs, the Whisky and Troubadour. We got signed to Warner Brothers and we waited over a year to try to get Teddy Templeman to produce the album, and we didn't get Teddy because he was working with Eric Clapton and Lindsey Buckingham on their records. 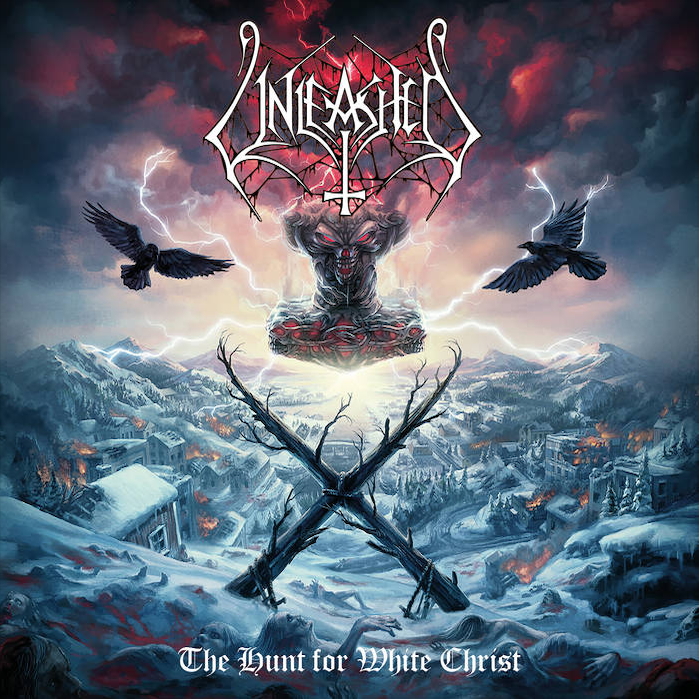 We got pushed back and we were looking for a producer, and we ended up using Tom Allom for the first record; he'd done JUDAS PRIEST and also KROKUS's ['Headhunter'] album. He did the first ROUGH CUTT album, and, unfortunately, what had happened was when the record came out, we missed the door. The PMRC took the lower side of things and started labeling records by what the outside looked like and not what was on the inside. Because we had a heart on the outside of the album with a knife going through it and some mechanical spider crawling on it, I guess nobody really wanted to listen to what was inside, so they didn't even give it a shot, even though we were on the largest tours at that time when the record came out. It was ideal. We were touring arenas, but we were finding out while we were out there that our records weren't in the record stores. We were doing a big tour, and if nobody can get your product, they forget about you two days after a show. We lost our A&R guy at Warner Brothers; Tom Whalley moved on to Capitol and eventually went to Interscope Records. That put a real big nail in the coffin for ROUGH CUTT because once you lose your A&R guy, you got nobody running around the record label making sure everything goes well, even though we had really good management with Wendy Dio. We were touring with Ronnie [James Dio], ACCEPT, and KROKUS and quite a few other acts. We did two big festivals. Even did some gigs with James Brown and FOREIGNER and some other stuff like that, but, unfortunately, we just missed that '80s thing."